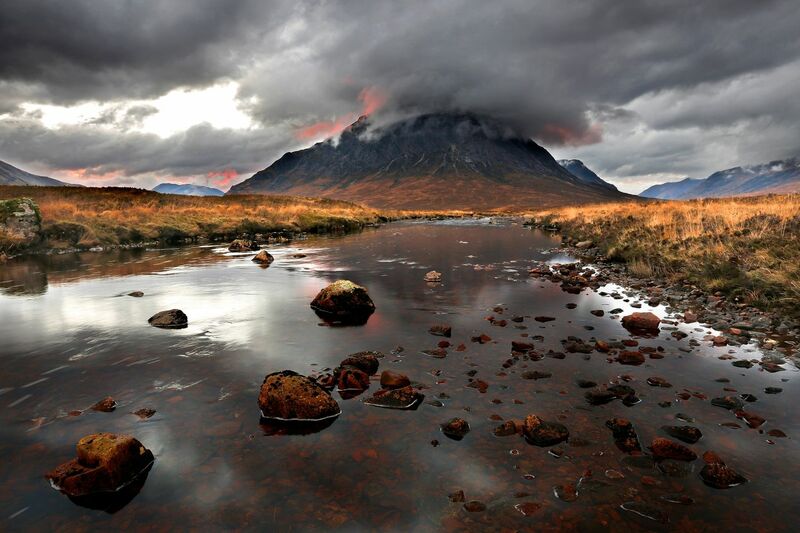 A Fiery sunset behind Buachaille Etive Mor reflected in the calm River Coupall. This was a late evening shot and couldn't believe my luck when patches of cloud just seemed to catch on fire as the sun was just about to set. Magical.